The Online Experience, is it Really Free? The new exhibition that is set to open at New York's New Museum on the 20th October is titled "Free" and seeks to explore the impact that the internet has had on the way we interact with the world and spaces around us. Referring perhaps more to how 'free' we are to access vast amounts of information and images like never before, as well as the freedom we have to share our own and others experiences right across the globe. 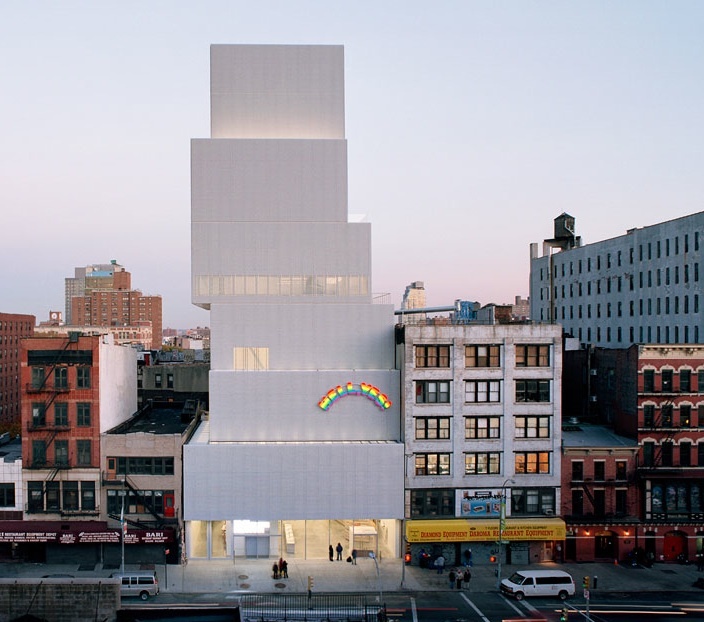 From it's very distinctive building on The Bowery, the museum looks set to explore the new creative possibilities that the internet, and the freedom that it provides, gives us. The exhibition will include a vast array of media including video, installation, sculpture, photography and sound which will peer into issues of what freedoms and constraints we are subject to as a consequence of our online experience. The show is curated by the Executive Director of Rhizome and New Museum Adjunct Curator, Lauren Cornell and will feature artists such as Liz Deschenes, Joel Holmberg, Lars Laumann, David Horvitz, Lisa Oppenheim and Alexandre Singh. From write ups in anticipation of the show, there sounds like there is going to be a lot of interesting discussion over digital imagery and how the internet has altered the ways that we can access and spread images. Repetition, context and manipulation are amongst the visual challenges that we face as an image consuming public, and this exhibition certainly looks like the place to join in the conversation and soak up some new perspectives on how the internet has altered the way art is conceived, created, distributed and received.